Give the love of writing in a journal to your kids with this fun journal jar. Fill a jar with writing prompts that will have their creative minds turning. 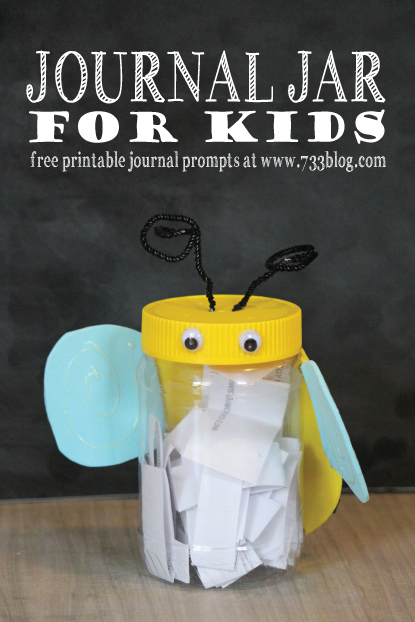 Get the instructions for this jar as well as free writing prompts that you can print. Click here to get the tutorial from 733 blog.